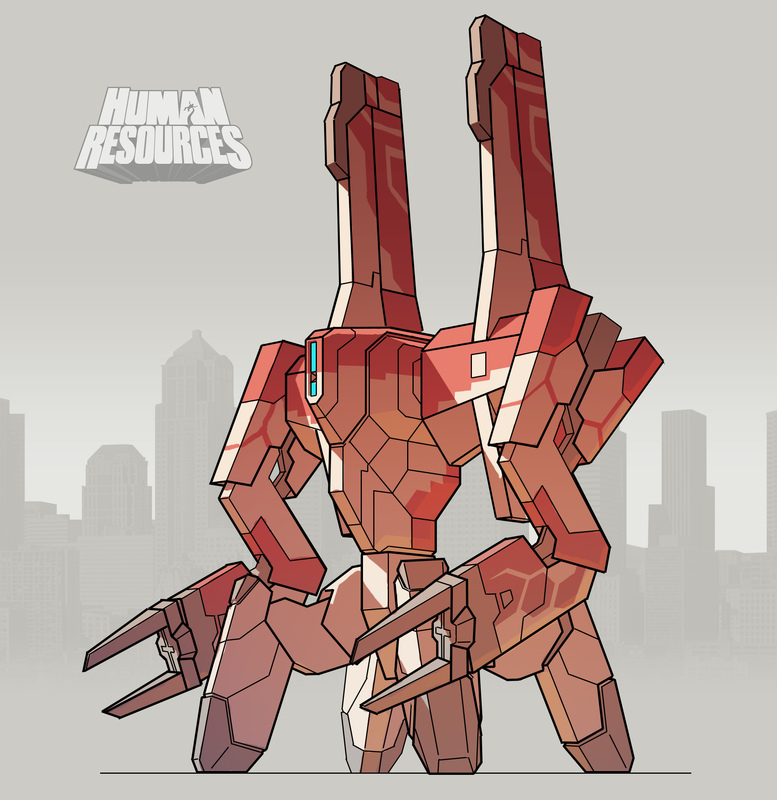 Human Resources from Uber Entertainment is something we’ve been talking about quite a bit lately, it’s an intriguing game from from an experienced studio staffed by that have brought us some fantastic games. Hot off the final release of their previous Kickstarter success, Planetary Annihilation, Uber is looking to raise $1.4 million for Human Resources, a giant monster strategy game in which Humans are the primary resource to be harvested. However, for a variety of debatable reasons the campaign has had challengesobtaining the momentum it needs to reach such an agressive goal. To learn more about Human Resources, it’s Kickstarter campaign, and Uber’s plans for it we were fortunate enough to do an email interview with Lead Designer and Project Director, John Comes. Cliqist : Hello! How ya doing? Who are you exactly? John Comes : Hi! I’m John Comes. I’m the Design Director for Uber Entertainment and the Project Lead on Human Resources. Uber is a small independent game studio that has shipped Monday Night Combat, Super MNC, Outland Games, Toy Rush and Planetary Annihilation. Cliqist : Can you give those living under a rock a brief synopsis of what Human Resources is all about? 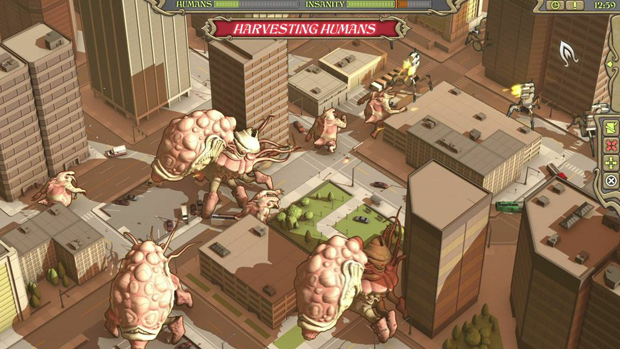 John Comes : Human Resources is a real-time strategy game where the factions you play are competing apocalypses. You control either giant tentacle monsters named The Ancient Ones or the evil AI-driven robots called the Machines. With both, you use humans as the resources to build and power your army. Cliqist : What’s your favorite feature that’s going to be in the game? John Comes : There’s so many to choose from. I’d have to say it’s using humans as the resource. I feel like it’s a very interesting take on the typical resource mechanic in a real-time strategy game. Cliqist : What would you like Human Resources to look like, say, 2 years after release? Will it be a release and move on type situation, or do you have hopes of it expanding in post-release? John Comes : In an ideal world, we ship Human Resources and then continue to put out campaigns, new factions, new units, and more. The game lends itself to doing all kinds of interesting apocalyptic factions. We’re already getting some very interesting suggestions from the comments on our Kickstarter. The games industry has shifted quite a bit. I remember the days where you built a game with a few previews that came out, shipped it, moved on to your next game, and that was it! Nowadays, you have to keep supporting your game in all kinds of ways. ‘Shipping’ is now just a phase of development. So with Human Resources, as we did with our other games, we will continue to support it as long as we can. Cliqist : I can’t help but think that the HR reps at your office must have been a little uncomfortable when you told them you’re making a game about man-eating monsters called Human Resources. John Comes : As a small studio, I can say it’s not a plural ‘reps’. But yes, it’s an unending source of entertainment internally. I’m a big fan of puns and wow, this is fun! A “Human Resource issue” has so many connotations now. Especially when tentacles and health care get entangled! Cliqist : It seems as though a lot of the drama concerning the Planetary Annihilation situation has started to get cleared up. Even though Human Resources is being made by a different team, do you think your Kickstarter was affected by the concerns that backers brought up regarding PA? John Comes : We definitely have plans to incorporate all of our learnings into the Human Resources project. We are going to improve our communication. During production we will make sure everyone is on the same page with the game they helped fund. I believe that the current atmosphere of funding games on Kickstarter itself has shifted the playing field and we’re dealing with the challenges there. However, I also do think the Kickstarter was affected by the concerns fans had of PA. We really are in uncharted territory. There are very few Kickstarters that had as much money pledged as ours, had as many fans as ours, and has shipped. We don’t have a lot of games to look at for how to navigate the production and messaging of a crowd-funded game. We’ve learned how passionate fans are about specific promises and the PA team is doing what they can do address those concerns. Through the normal course of development things change, priorities get shifted, features get expanded or cut. That’s how the creative process works. The PA team is in the process of figuring out how to best message what’s going on and they are actively improving it. Normally all these direction changes happen behind closed doors but with Kickstarter, it’s all out there in the open! 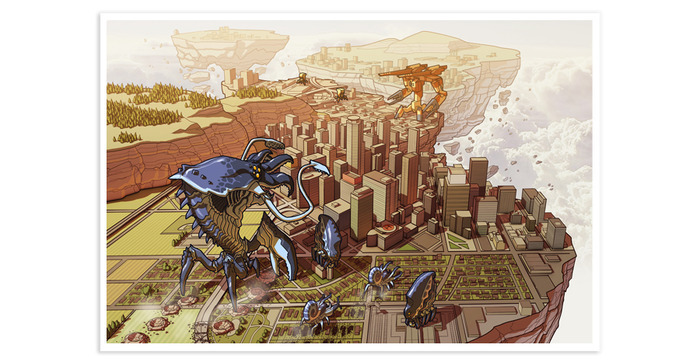 Cliqist : In your opinion, are the concerns raised regarding Planetary Annihilation fair? What are you and the Human Resources team taking away from the whole ordeal? John Comes : A lot of our learnings are already incorporated into our Kickstarter pitch for Human Resources. Others will become prevalent with how we interact with our fanbase after we fund and start building the game. Some are concerns absolutely fair. Those concerns the PA team is jumping on as fast as possible, which is why they released offline server as soon as they could. Like I stated above, it’s been a learning process. There’s a lot of promises we did deliver on. You can play an RTS game with thousands of units running around, mine a gas giant, smash an asteroid into a planet, and turn on a huge laser to destroy another planet! It’s an epic game and we’re very proud of it. Cliqist : One of your FAQ questions is “What will happen if the goal isn’t met.” Your answer clearly states that those that backed the project won’t lose anything. However, what happens to Human Resources if it doesn’t reach its funding goal? John Comes : That’s a tricky question. We’re in love with the pitch and the concept, but if we can’t find funding, we can’t make the game. There are less desirable avenues beyond Kickstarter, but we’d rather just have it fund and build it with our fans’ input. Project funding is the eternal struggle of a small indie game studio. Cliqist : What would you say to someone that’s on the fence about backing Human Resources? John Comes : Come with us on this journey! We’ll laugh, we’ll eat some humans, we’ll blow up some robots, and for fun, maybe we’ll just summon a giant tentacle monster to eat the world. Let’s show the world RTS games are still fun and can be awesome. Cliqist : Is Human Resources a scam or unattainable dream? What assurances do backers have that your team can deliver? Cliqist : Can you close us out with a Human Resources related haiku? Thanks to John for taking the time to answer some questions! If you’re interested in learning more about Human Resources be sure to check out its Kickstarter campaign page before its November 4th deadline. If you’d like to keep track of its progress you can do so by heaving over to our Campaign Calendar. *A note regarding the unanswered question. Regular readers will recognize the last two questions of the interview, the Scam and Haiku questions, as being ones that I’ve asked in all of my interviews for the past few months. This is not to say that John, or Uber, plans on scamming backers, or is unable or unwilling to deliver on their promises. The point of the question is to have developers share their thoughts on the skepticism that’s frequently cast on Kickstarter campaigns and to share their assurances with potential backers regarding their willingness and ability to deliver. Anyone scamming backers isn’t going to admit it in an email interview, are they? Is the question agressive? Yes. Is it too agressive? I’ll leave that to you. Should the question be rephrased?